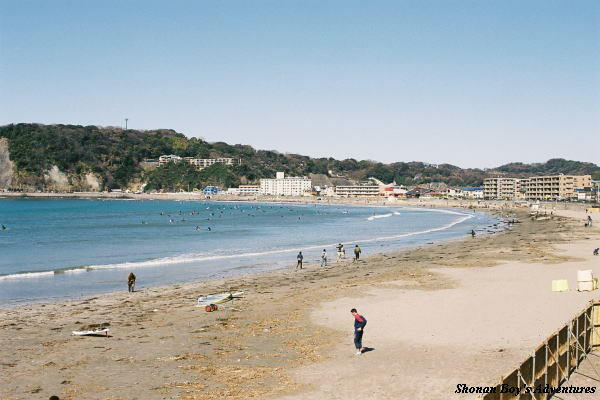 It is easy to swim in small bay of Zushi. 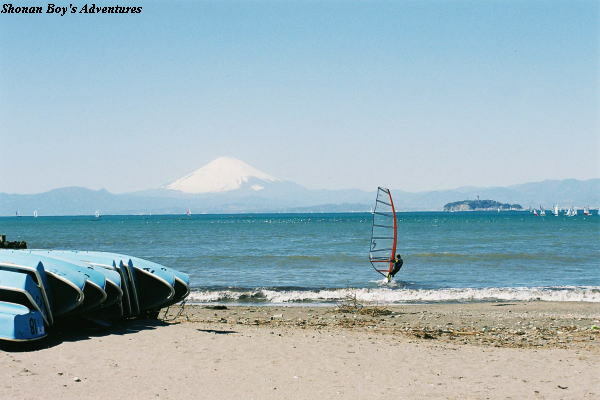 Some people enjoy windsurfing. As well, it is convenient to go there on foot. Yacht harbour including condominiums and palm trees. A swimming pool, tennis courts, restaurants are available. Short distance cruising is popular! For those who go by car, please look up the narrow road to Zushi Marina in the map in advance. From "Kamakura" station of JR Yokosuka line, take the Keihin Kyuko Bus bound for "Kamakura via Kotsubo". And get off at "Kotsubo" bus stop, and 7 minutes walk. 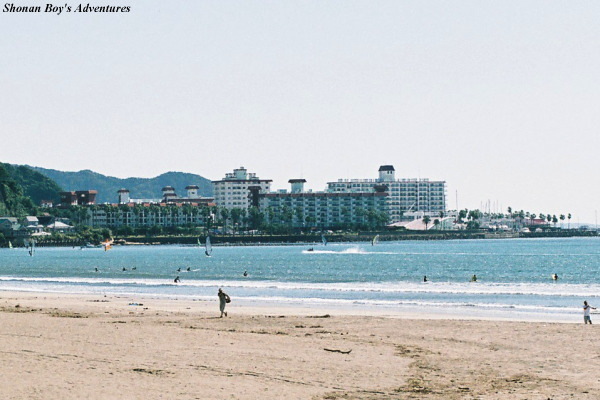 (Sat, Sun, Holidays only) From "Kamakura" station of JR Yokosuka line, take the Keihin Kyuko Bus bound for "Riviera Zushi Marina Plaza Mae (non stop)", and get off at the final bus stop. From "Zushi" staion of JR Yokosuka line, take the Keihin Kyuko Bus bound for "Kamakura staion via Kotsubo". And get off at "Kotsubo Kaigan" bus stop, and 5 minutes walk. From "Shin-zushi" station of Keikyu line, take the Keihin Kyuko Bus bound for "Kamakura staion via Kotsubo". And get off at "Kotsubo Kaigan" bus stop, and 5 minutes walk. There are many surfers in Morito. Also it is possible to swim. From "Zushi" station of JR Yokosuka line (or From "Shin-zushi" station of Keikyu Zushi line), take Keihin Kyuko Bus (Keikyu Bus) bound for "Hayama Isshiki via Kaigan" or "(Hayama) Fukushi Bunka Kaikan via Kaigan" (approximately 15 minutes). And get off at "Morito-kaigan" bus stop, and 1 minutes walk. 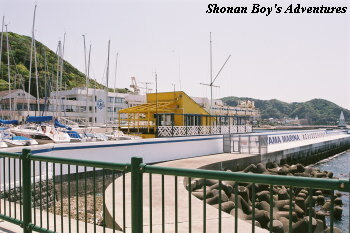 You can enjoy cruising here, and it is fun to cruise around Enoshima and Shichiri-ga-hama. There are some rastaurants and souvenir shops here. From "Zushi" station of JR Yokosuka line (or From "Shin-zushi" station of Keikyu Zushi line), take Keihin Kyuko Bus (Keikyu Bus) bound for "Hayama Isshiki via Kaigan" or "(Hayama) Fukushi Bunka Kaikan via Kaigan". And get off at "Abusuri" bus stop, and 1 minutes walk. 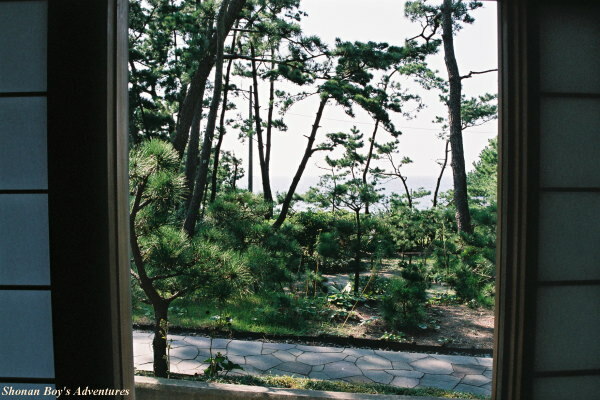 It was a part of Hayama Imperial Villa. 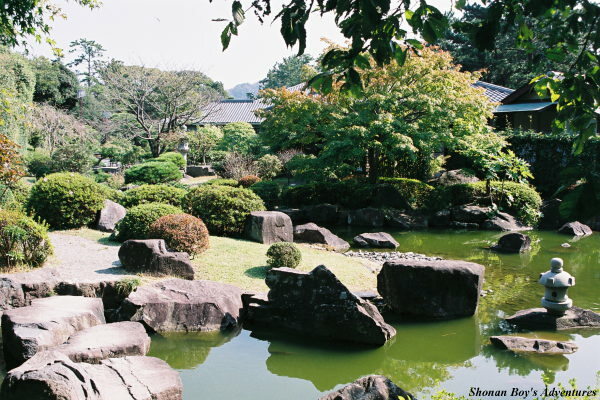 Calm park with Japanese garden, museum, tea ceremony room, and so on. 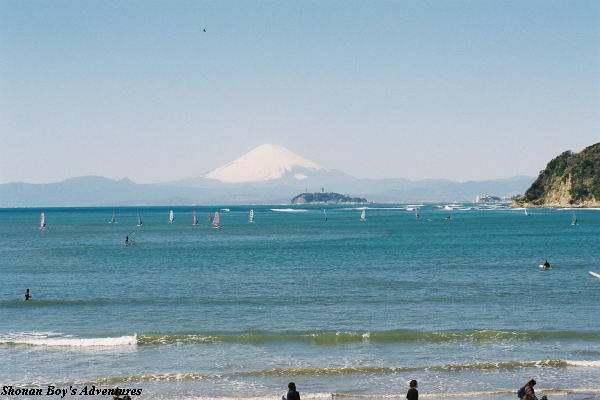 From a path faced on Sagami bay, visitors can see Fuji mountain, Hakone, Izu peninsula, Izu-Oshima, etc... Please check the business time and holidays before you visit. From "Zushi" station of JR Yokosuka line (or From "Shin-zushi" station of Keikyu Zushi line), take Keihin Kyuko Bus (Keikyu Bus) bound for "Hayama Isshiki via Kaigan" or "(Hayama) Fukushi Bunka Kaikan via Kaigan". 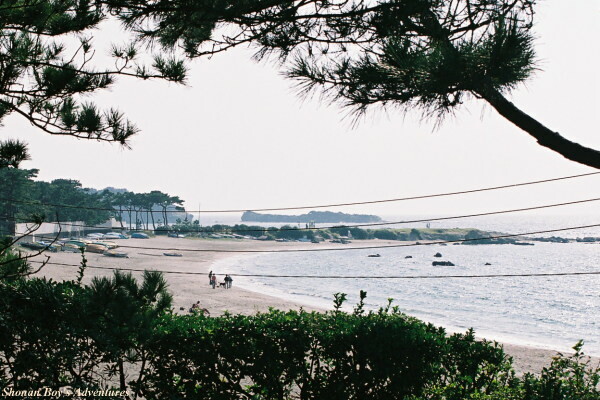 And get off at "Isshiki Kaigan (Shiosai Koen-mae)" bus stop, and 1 minute walk. From "Zushi" station of JR Yokosuka line (or From "Shin-zushi" station of Keikyu Zushi line), take Keihin Kyuko Bus (Keikyu Bus) bound for "Hayama via Yamate", "Nagai", "Shimin-byoin", "Okusu Ashinaguchi" or "Sajima Marina Iriguchi". 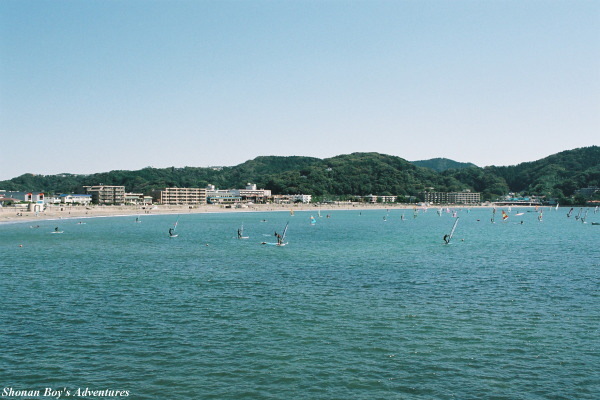 And get off at "Hayama" bus stop, and 3 minutes walk.